Can Pinterest Benefit Your Business? Pinterest isn’t just all fun and games. Businesses both big and small are currently turning to the social media site as a new way to connect with customers, and for good reason, too. Jeweler Rachel Ball used Pinterest to increase traffic to her online shop by 22 percent and in turn has seen an increase of sales by 20 percent. The site, which allows users to “pin” photos, videos and links to digital “pinboards,” reached some 70 million users this month and averages 2.5 billion monthly page views. In addition, an average of 80 percent of pins get “repined” or shared by users, making the website an excellent avenue for marketing your business’s brand to a large group of people. Pinterest users are an average of 25 to 34 years old, are predominately female and tend to spend more than an hour on the site. 69 percent of Pinterest users have used the site to find an item they wanted to purchase. 43 percent of shoppers report that they prefer to connect with a company on Pinterest, while only 24 percent chose to connect with business on Facebook. Further more, Pinterest users who shop online follow nearly twice as many businesses as Facebook users. Pinterest users spend an average of $140-$180 per checkout while online shopping, compared to $80 for Facebook users and $60 for Twitter users. Pinterest users account for an average of 25 percent of traffic referrals to company websites, more than Twitter, Facebook, Google+ and LinkedIn. 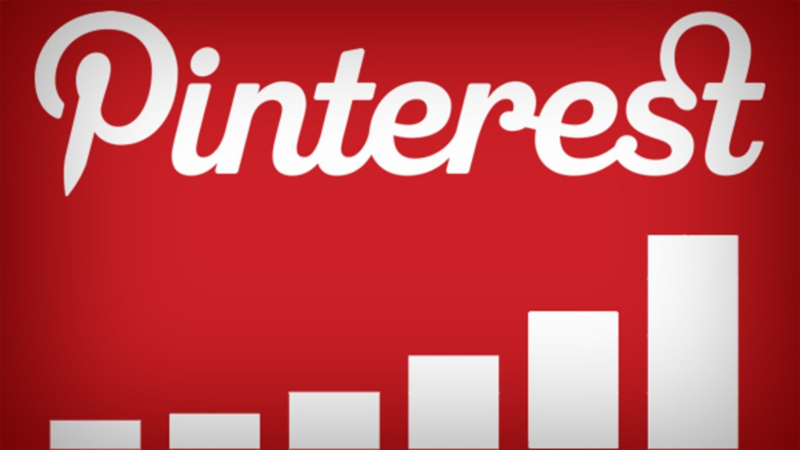 In May 2013, Pinterest rolled out new analytics tools to help businesses utilize their accounts better. The analytics tools allow you to chart how many people are pinning from your website, clicking on your content or repin your pins. In addition to tracking your pins, Pinterest analytics lets you track what’s trending and who’s posting it, so you can tailor your Pinterest page to take advantage of current trends. Pinterest also recently introduced “rich pins,” specially designed to make it easier for users to shop from your website. Pins automatically update with information, such as the price of an item, availability, reviews, where to buy it, etc., and link directly to company websites. Since the social media site has also made it easier than ever to embed a “pin it” butted on a website, businesses can help increase the amount of users pinning directly from their website, which in turn helps increase referral traffic. Although Pinterest statistically does a better job than other social media sites at driving traffic to company websites, remember that its primary function is for sharing, engaging current and future customers, and increasing brand awareness; be careful not to rely on it to drive your business’s bottom line. For additional tips on using Pinterest, check out Pinterest’s business blog.